Popular documentaries from throughout the year dominate the Producers Guild non-fiction feature nominees. In any crowded awards field, getting seen is the first order of business. Not surprisingly, a strong roster of 2018 box office hits landed on the Producers Guild of America’s nominated documentary features. Three summer hits include CNN’s “RBG” (Magnolia) and “Three Identical Strangers” (Neon) as well as Focus Features’ “Won’t You Be My Neighbor,” which so far has not missed a possible nomination. 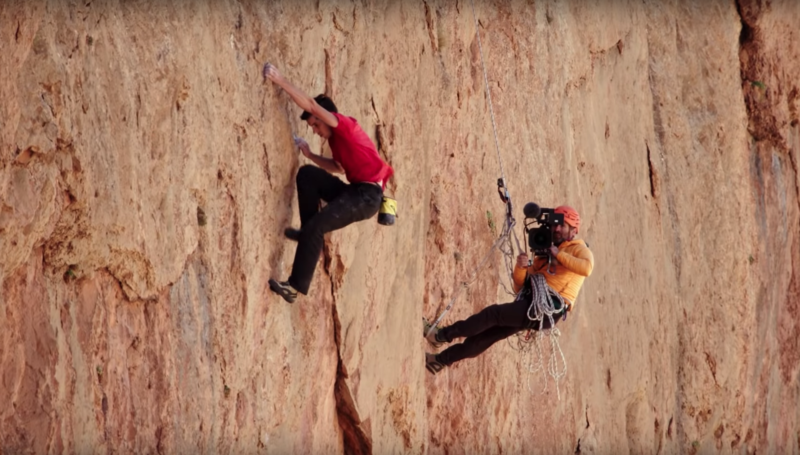 Oddly, two climbing movies are in contention, NatGeo’s fall hit “Free Solo” and “The Dawn Wall” (The Orchard). The other nominees get a much-needed boost in awareness as documentary Oscar branch voters plow through a tall list of screeners. Among the many bio-docs in circulation this season, the PGA went with Oscilloscope’s “Hal,” about the legendary film director of “Shampoo” and “The Last Detail,” among other classics. · Won’t You Be My Neighbor? During the awards show, the Producers Guild also will present special honors to individual producers, including recognizing President of Marvel Studios Kevin Feige with its David O. Selznick Achievement Award. The 2019 Producers Guild Awards Event Chairs are Donald De Line and Amy Pascal. In 1990, the Producers Guild held the first-ever Golden Laurel Awards, which were renamed the Producers Guild Awards in 2002. Richard Zanuck and Lili Fini Zanuck took home the award for Best Produced Motion Picture for “Driving Miss Daisy,” establishing the Guild’s awards as a bellwether for the Oscars. The 2019 Producers Guild Awards ceremony will be held on January 19, 2019 at The Beverly Hilton hotel in Los Angeles where the final winners will be announced. This Article is related to: Awards and tagged Best Documentary Feature, free solo, Oscars, RBG, Won't You Be My Neighbor?